Undermount Sinks complete the look of your new countertops. 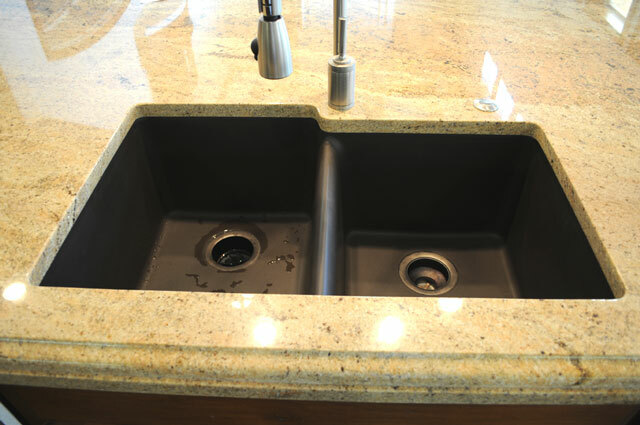 Our Undermount Sinks complete the look of your new granite countertops. StoneTex stocks a variety of popular sinks that perfectly compliment your new Granite Countertops. Whether you are looking to match the distinct look of your new granite or are looking to match your existing appliances, our extensive selection will suit your distinctive style as well as your cooking needs. 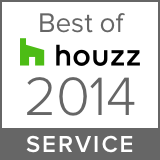 Undermount sinks have become the de facto standard in Granite Remodels. This custom treatment highlights not only the thickness and natural beauty of your stone, but also creates a focal point of the true utilitarian of your workspace… the Kitchen Sink. Upgrade your countertops with a variety of sink options that will add to the overall design and function of your space. The stainless steel sinks we provide are made of high-grade stainless steel materials, which ensure the best resistance to rust, corrosion and stains available. Integrating elegant and fashionable design style with exquisite production techniques, we provide sinks with an unequaled quality and unique appearance. We also stock High quality Granite Composite Undermount Sinks, Zero Radius Stainless Steel Undermount Sinks and Ceramic Vanity Undermount Sinks to give you a variety options from which to choose. In addition to our in-stock selections, we have access to popular brands such as Kohler, Blanco and American Standard.